Riverside – This week, the Board of the California State Coastal Conservancy awarded over $17 million in grants for the acquisition of parkland, restoration of coastal resources and construction of amenities to help Californians explore and enjoy the coast. The bulk of the awards was split between a grant of $6,200,000 to San Mateo County for the acquisition of the 58-acre Tunitas Creek Beach and $6,895,100 to nine nonprofit organizations and public agencies to improve coastal water quality, preserve and enhance coastal resources, and enhance coastal access within Santa Monica Bay and its watershed. Tunitas Creek Beach, located between Pescadero and Half Moon Bay, has long been considered a local gem due to its long stretch of beautiful, wild, and secluded beach, and its dramatic rugged cliffs. 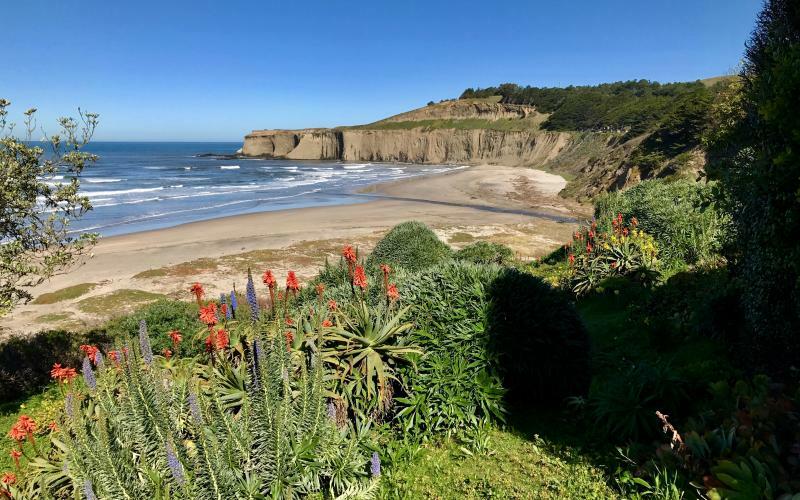 Conservancy funding will support the acquisition of a 58-acre property that includes panoramic ocean views, nearly a mile of sandy beach and dune habitat, and a third of a mile of the Tunitas Creek riparian corridor. For decades, this private property was accessed primarily by locals and surfers. With no facilities and no park agency management, there has been a dramatic increase in adverse impacts on the property’s natural resources and public health and safety. Ownership of the property will enable San Mateo County Parks to develop safe and sustainable public access and recreation opportunities, reduce unregulated use and illegal dumping, and restore the property’s natural resources. Conservancy funds will also enable County Parks to prepare design, environmental review and permitting documents, with the intention of eventually opening the property as a new county park. The Board of the Conservancy also authorized $6,895,100 to nine nonprofit organizations and public agencies for 10 projects that implement the Santa Monica Bay Restoration Plan (the Bay Plan). The Bay Plan was approved in its current form in 2013 and includes specific goals and objectives related to water quality, natural resources and benefits to humans including, public access and education in the Santa Monica Bay. The Safe Neighborhood Parks, Clean Water, Clean Air, and Coastal Protection Bond Act of 2000 (Proposition 12, Public Resources Code Sections 5096.300, et seq.) allocated $25,000,000 to the Coastal Conservancy for the restoration of Santa Monica Bay in accordance with the goals and priorities of the Bay Plan. Prior to this week’s funding, the Conservancy had awarded over $17 million of Proposition 12 Santa Monica Bay funds for 49 projects in the Santa Monica Bay Watershed. The nine projects selected to receive the final tranche of Proposition 12 funding range from land acquisition to green streets construction to innovative water purification projects. Other projects funded by the Conservancy at this week’s meeting include $1.9 million to construct a new campground in the Tijuana River Valley and $750,000 to plan new segments of the Bay Area Ridge Trail. The Coastal Conservancy is a state agency, established in 1976, to protect and improve natural lands and waterways, to help people get to and enjoy the outdoors, and to sustain local economies along California’s coast. The Conservancy is a non-regulatory agency that supports projects to protect coastal resources and increase opportunities for the public to enjoy the coast. Funded 2,400 projects along the California coastline and in the San Francisco Bay. Protected 390,000 acres of coastal lands through acquisition of fee title and conservation easements. Restored 33,000 acres of habitat. Built 200 new coastal accessway and 210 miles of new trails. Put $1.3 billion to work for conservation projects, and leveraged far more from federal, local government, and private sources.